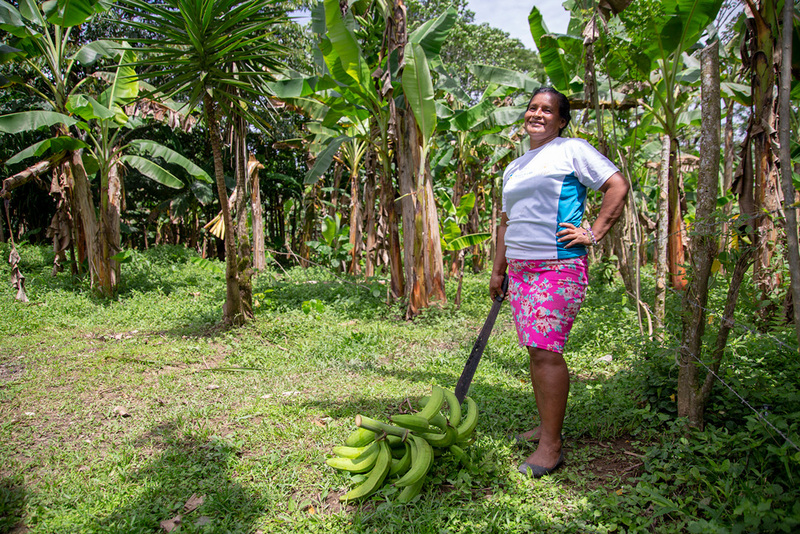 RICPA, COSTA RICA – “For us as indigenous people, the kitchen is the most important part of the house; it’s where we spend the most time with our families,” says Maricela Fernández, a mother and grandmother and leader in her small community. Several years ago, the government of Costa Rica wanted to help its indigenous communities improve their standard of living. They decided to build houses. Soon, small yellow ones made of concrete started to appear in high-up villages in the country’s rainforests. “One day they came and just put the house in place,” says Maricela. 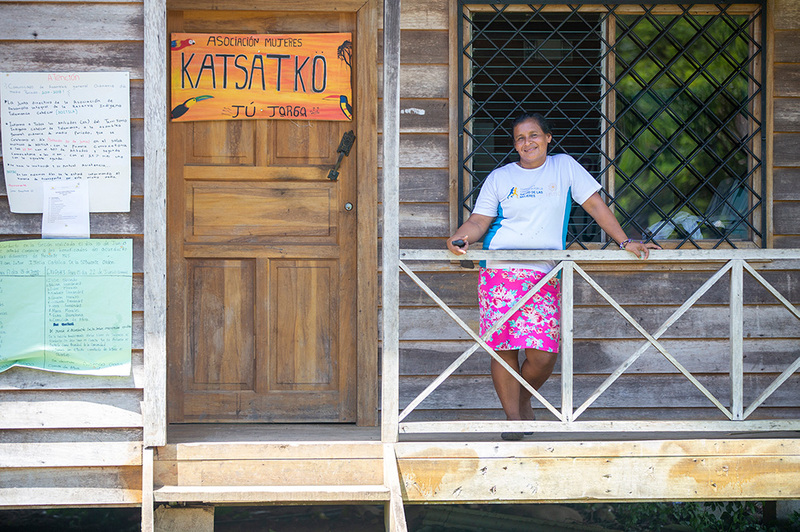 Maricela Fernandez, a community leader promoting gender equality and the protection of the environment, outside of her NGO. There was one major problem. Actually, there were several problems. The government-designed homes placed the kitchen outside in the back on a small concrete slab. Here is where families were to cook, eat and gather. The homes were also small — only two bedrooms. They were the same size no matter how large a multi-generational family may be. They weren’t designed to be efficient in a tropical environment. And most claimed they were unsafe. “I think a man designed this house,” Maricela says with a smile. The homes began to be used for other purposes — as storage units, to protect animals. One was even a makeshift morgue. It was clear to all that despite good intentions, the government houses would never be homes. Then in 2015, the Costa Rican government decided to use the open government process to start a dialogue with indigenous communities. For the first time in more than 20 years, the voices of some of Costa Rica’s most vulnerable would finally be heard. From two-hour school commutes to a lack of doctors to issues with water supplies, the government engaged these citizens in a real conversation and began to take active steps to remedy problems identified by the communities themselves. 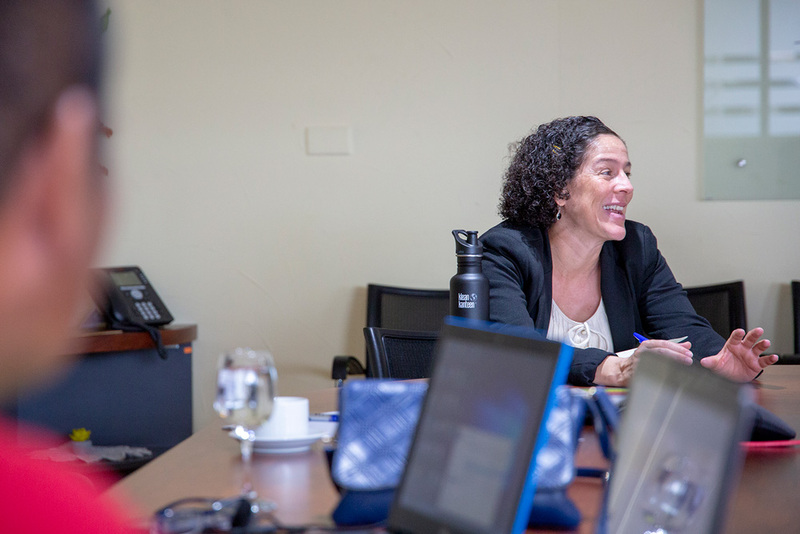 Indigenous community members meet with Nancy Marín, Vice-Minister for the Presidency’s Citizen Dialogue and Political Affairs in San Jose, to discuss current concerns. In the past, indigenous communities were consulted without standards, without protocols. Through the consultation process, which was designed by them, indigenous peoples are now empowered to have a say in the decision-making process pertaining their territories. These conversations are yielding results. To date, the new process has led to the construction of five schools. New doctors have been assigned to indigenous areas improving healthcare. Ten new water sources have been established. Travel allowances now cover all the ways students get to school and night classes are available for those unable to attend during the day. New designs for homes that accommodate all sizes and shapes of families are being finalized. And the kitchens will work. Community Leader Maricela Fernández at the banana plantation where crops are raised to support local food bank and outreach efforts.